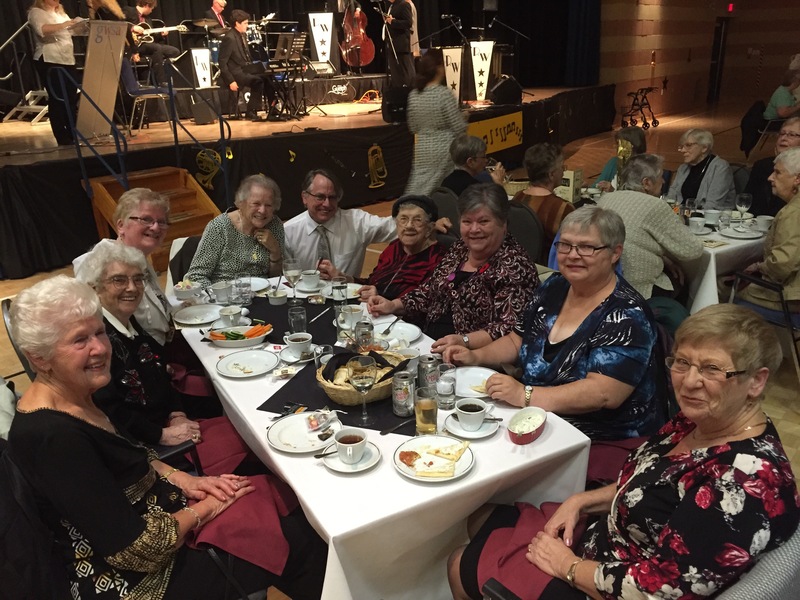 The Evergreen Seniors Community Centre Volunteer Appreciation night is an annual event for our dedicated and passionate volunteers who contribute to the programs and services at Evergreen. 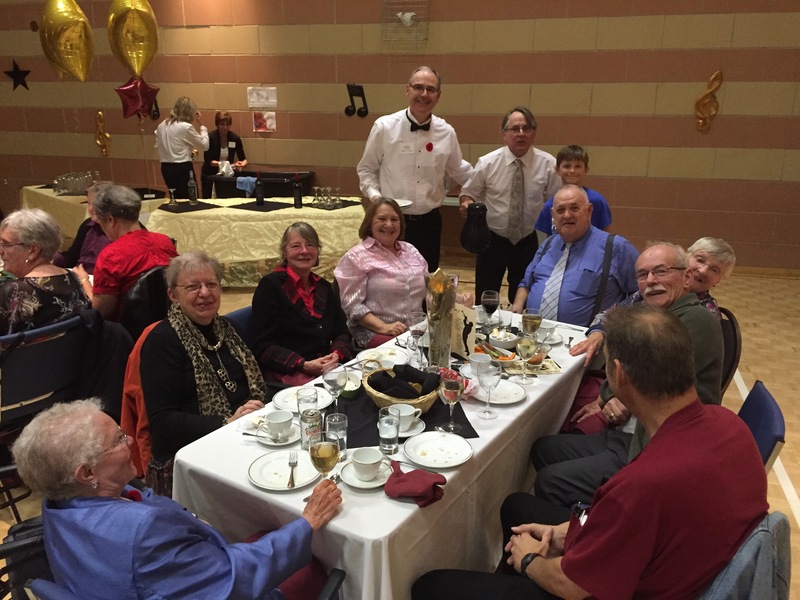 Last night councillors Phil Allt (with his favourite table pictured below), the Chief of Police and many city staff volunteered to assist with serving food and clearing tables! It was nice to have my wife Rachel and our two children come along to serve as well! Here’s Councillor Allt, Chief DeRuyter & my son Anakin helping serve another table! 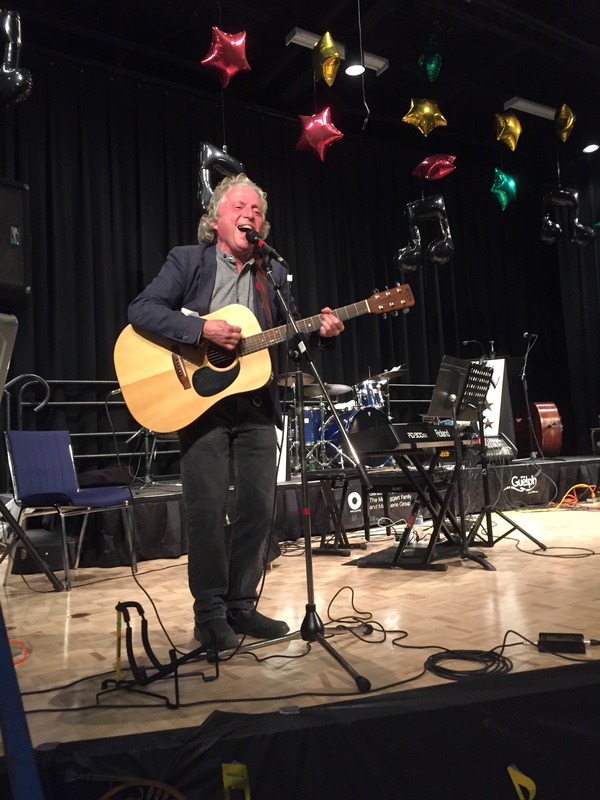 Ward 2 Councillor James Gordon kicked the evening off with some great songs for the crowd too! I would like to personally thank City Staff for volunteering for this annual appreciation event. The theme was “All that Jazz” and the main band was perfect! 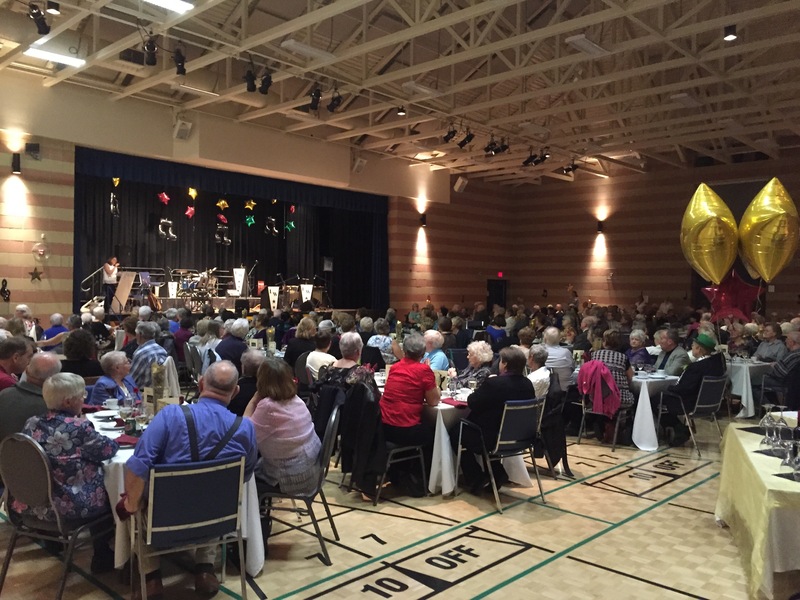 The active team of volunteers continues to grow at the Evergreen Seniors Centre with approximately 488 volunteers who dedicate their time. 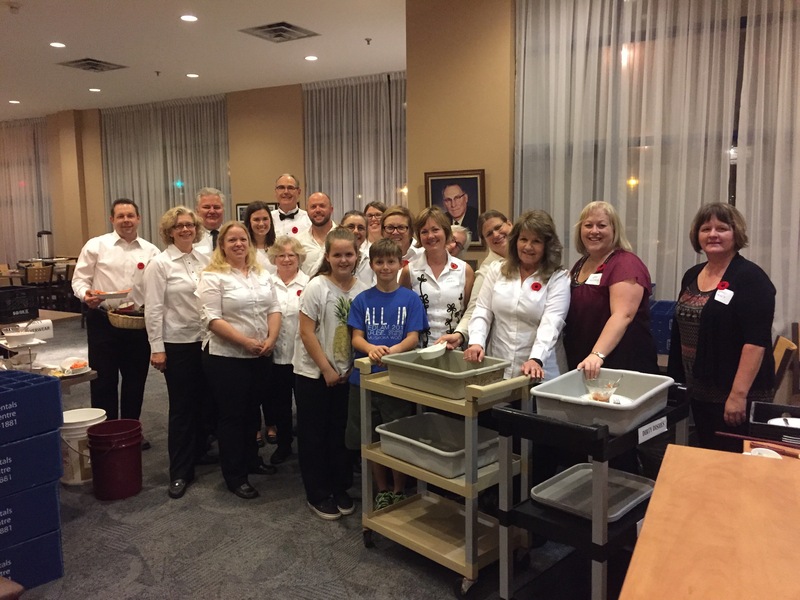 The volunteers have always been appreciative of City Staff present at past events and it showed last night too! 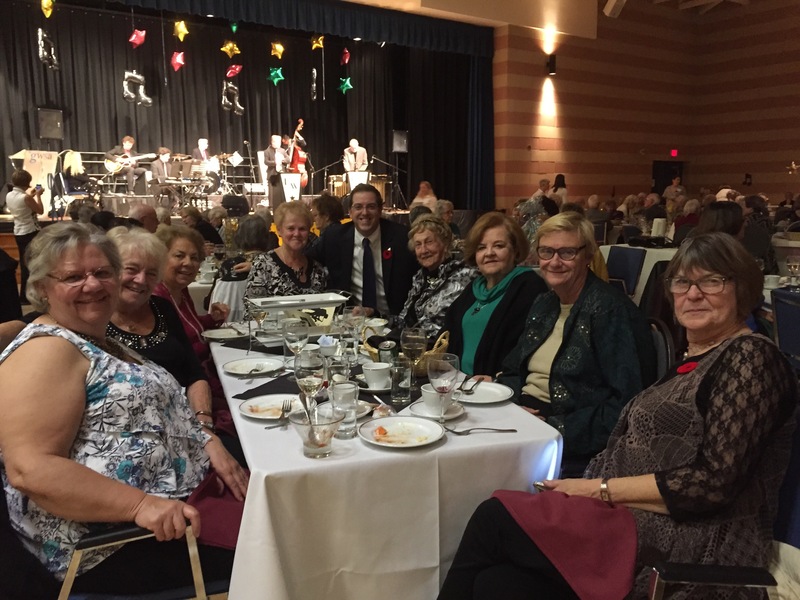 The lady pictured in the green sweater at this table below introduced herself to me telling me she use to work for my grandfather at the Guthrie Bakery downtown Guelph when she was 15 years old! She got paid .50 cents an hour she said! What a wonderful lady! Lastly, how can I forgot the city staff! I gathered them all up as best I could for this group shot! What an amazing team we have been blessed with in our city! Always great to see Kerry too! She missed the group picture so I forced her to have her own picture and if she’s reading and seeing this now I’m sure she’ll roll her eyes and send me an email saying “Cam! How dare you!” Ha ha! Thank you again everyone and see you next year! 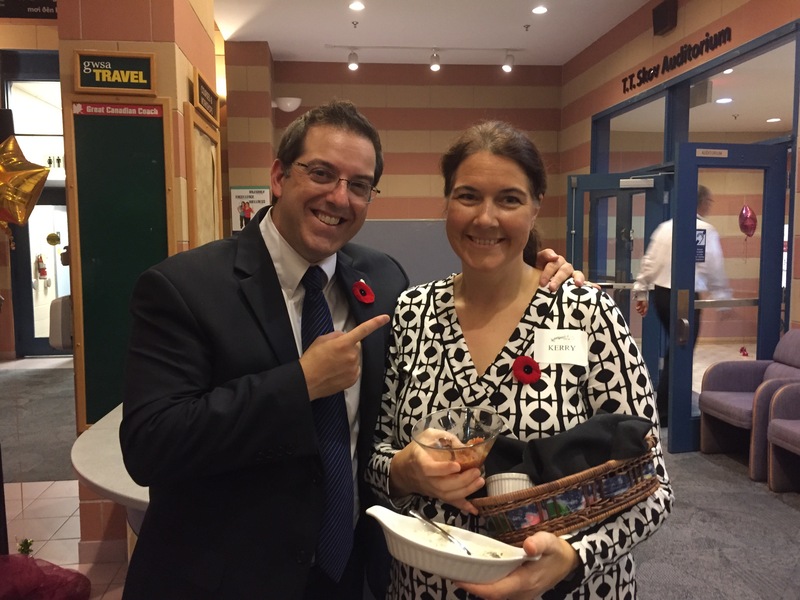 ← #Guelph’s Own @Skyline_Living Awarded Best Employer in Canada!